Is your lovely kid’s birthday coming up soon? Well, you have some serious planning to do. Birthday parties for kids are getting more and more detailed day by day and you will need to start your preparations well beforehand if you want to make it a special day for him or her. If you are planning to hold a big party for your kid, you must definitely be looking for some nice ideas for the party. There are so many questions that you will need answers to and this article offers you some of the best tips to organize a kid’s birthday party in India. You must first decide about the guests for the party. You must definitely ask your kids whom he/she wants to invite before you make the list. It is best to include all his/her friends in school and the neighborhood. You must make sure you make a list and start inviting because, it would be not be nice if you missed a few kids for the party. It is okay to call a few relatives to the party, but remember, the party is for your kids, so their friends are the priority. You also have to choose a good venue for the party. There are plenty of kids party halls in the major cities of India like Delhi, Cochin, Mumbai, Hyderabad and Bangalore. The kids party halls would have so many games set up and the kids can have the best time of their lives for the birthday party. Most importantly, you must choose a venue that would fit all your guests. You don’t want the place to be over crowded and congested for the kids. So choose a big enough place to make them feel free and comfortable. A kids birthday party should not last for more than a few hours time. It is not an easy job to keep the kids entertained the whole day. The best time would be either in the morning from about 10 AM to 2 PM, which can include lunch or in the evening from 6 PM to 8 PM where you can include dinner. After you have decided the time and the venue, you have to think about the invitations. It is best to use online invitation tools like Yoovite. You cannot imagine how easy it is to get everything done online via Yoovite. It has options to design a good draft for the invitation and send it to several recipients at the same time. You can also personalize the cards for several people if you want to make them sound more personal. With a nice range of templates, Yoovite is the best tool to make inviting an easy job. If you are holding a kids birthday party, then you must definitely choose a theme for the party. Kids birthday parties are all themed these days and the decorations, the cake and everything you choose would depend on the theme that you select for the party. 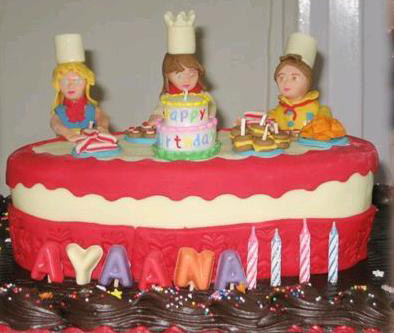 There are so many kinds of themes available for kids birthday parties in India. You have to choose something that your kid would love. It can be based on her/his favorite cartoons, storybook characters or TV programs she/he loves. You could also plan a costume party and ask the kids to come dressed as characters of a particular show or movie like say Harry Potter. Decorate the venue like a magical school and have the tables set up like Hogwarts. The kids are gonna love it! It is best to go for some fast food when you want to give kids a treat. Fried Chicken, Pizzas, Burgers, French Fries and soft drinks would be the best choice. You could just get everything ordered in advance. If you are planning to make the food at home, you must choose treats that you feel the kids will eat. Remember, not everything will appeal to them and you have to make something that would satisfy their hunger. For a kids birthday party, it is always nice to have some nice takeaway gifts for the kids coming to the party. Kids always love gifts and you don’t have to get anything very costly to make them happy. There are plenty of inexpensive goodie bags available in the market these days. Most of these goodie bags would include crayons, coloring books, homemade bookmarks, candies, cookies or kids music CD’s. Always have a couple of extra goodie bags ready. You don’t know if you will need them. Make sure you organize some good games for the party too. 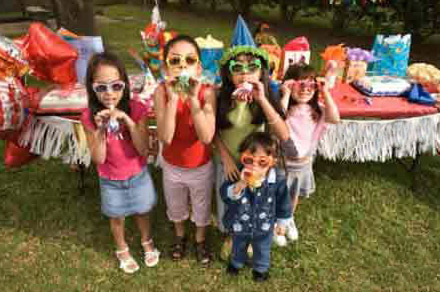 Kids’ party can include singing and dance competitions, musical chairs, video games etc. You don’t have to restrict it to kids. Even adults can sing and dance if they want to. It would be great if you can arrange some small prizes for the best performer in the games and don’t forget to add that in your Yoovite invitation card.